The video of the Orion crew module Exploration Flight Test 1 (EFT-1) as it descended through the atmosphere until splashdown into the Pacific Ocean was filmed by Ikhana, NASA’s unmanned aircraft system (UAS). On Dec. 5, NASA successfully launched an Orion Multi-Purpose Crew Vehicle (MPCV), a spacecraft destined to carry a crew of up to four astronauts to destinations beyond low Earth orbit (LEO), aboard a Delta IV Heavy rocket. The first flight lasted 4 hours and 24 minutes. The Orion descending for landing as planned in the Pacific Ocean was filmed by NASA’s Ikhana UAS (Unmanned Aerial System). The drone, a demilitarized MQ-9 Predator B owned and operated by the agency with technical support from the Air Force’s Medium Altitude UAS Division and the Nevada Air National Guard, was acquired by NASA in 2006 to support science missions and technology developments. The UAS, remotely piloted from a ground control station at NASA’s Armstrong Flight Research Center at Edwards Air Force Base, California, filmed the re-entry phase of the capsule it detected though its IR (Infra Red) camera: once located and acquired, the camera operator switched to the optical camera to follow the descent until splashdown. In the past, the Ikhana was used to perform wildfire imaging and mapping (Western States Fire Mission 2007-2009); in March 2012, NASA used the drone to test an Automatic Dependent Surveillance-Broadcast device. In August 2014, the UAS conducted a series of tests in Arctic Circle. How many C-130 Hercules can you count in this stunning Elephant Walk photo? Russian spyplane nearly collided with Airliner off Sweden. Again. 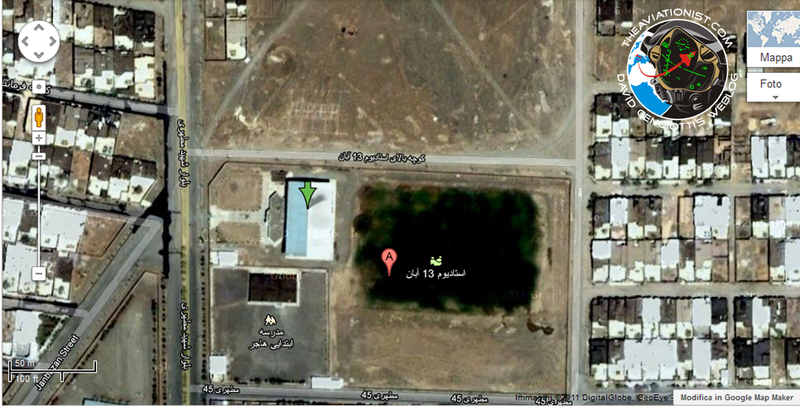 "This is the school in Iran where the captured U.S. stealthy drone is hidden" source says. Maybe. NASA's (mysterious) WB-57F testing new sensors at Nellis AFB? That Time An X-15 Rocket Plane Entered Hypersonic Spin At Mach 5 And Broke Apart Killing USAF Test Pilot.